'Fake News' Round-Two as Facebook, Google and French Media Team Up for Presidential ElectionsteemCreated with Sketch. With fears of the far-right winning the next presidential election in France, French media, Google and Facebook are trying to prevent the alternative right from winning another election like happened with Donald Trump. Marine Le Pen is an anti-globalist leading candidate of the conservatives National Front (FN) political party, who has a lot of traction to win the April 23rd elections. Her popularity is similar to Trump, which has the establishment cronies scurrying around trying to clamp down on information that could further propel her success. Enter the "fake news" battle once more, for a revamped round of helping the "electorate make sense of what and who to trust in their social media feeds, web searches and general news consumption in the coming months". 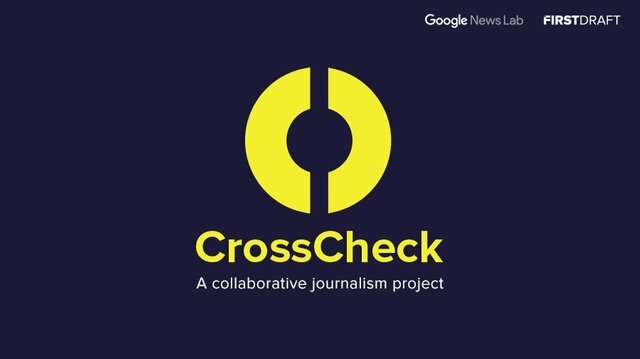 That's an official quote from the Paris announcement of a partnership between Google News Lab and First Draft as they released CrossCheck into France. First Draft is funded by Google as well. CrossCheck brings together expertise from media and technology industries to ensure hoaxes, rumors and false claims are swiftly debunked, and misleading or confusing stories are accurately reported. If something is contrary to the establishment and mainstream approved narrative, then they can be discredited with "official" industry "approved" tools like Facebook's to hide content from users, or Google's CrossCheck to label the alternative media reports as hoaxes, rumors and outright false claims. With the French presidential election as its primary focus, journalists from organizations across France will work together to find and verify content circulating publicly online, whether it is photographs, videos, memes, comment threads or news sites. The First Draft Partner Network includes over 17 major newsrooms that are joining the effort to blacklist "fake news" when this campaign kicks off. This includes AFP, BuzzFeed News, and most other media companies in France. One of the French media companies, Le Monde, already released their own tool called Decodex that is there for "helping readers check the reliability of information online." But don't expect this to stay in France. This is a first run to the test and dive right into the information war to combat alternative media poking holes in the mainstream narrative to mold our worldview. 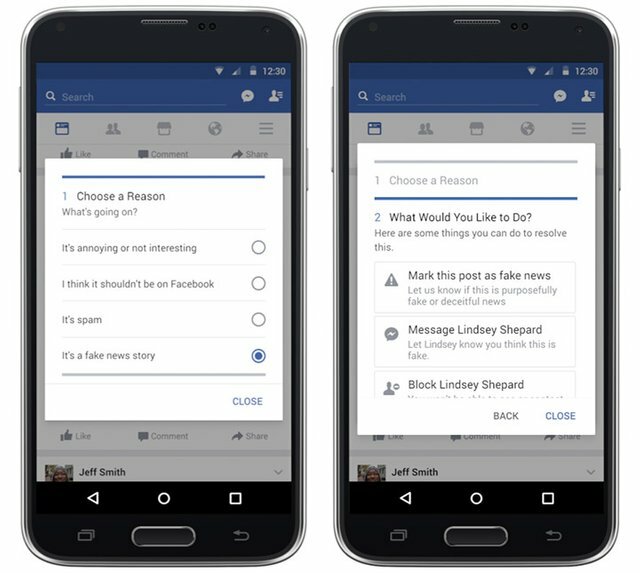 Facebook already has the flagging which "highlights fake articles on their feeds as a hoax", where they rely on "fact-checking" organizations like "Snopes, ABC News and the Associated Press to check the authenticity of stories." What a joke. NewsWhip’s Spike - "Spike monitors all of the world’s content - and analyzes this ocean of data to surface what will drive engagement today." Hearken‘s Engagement Management System - "We help news organizations listen to their audiences, engaging the public as a story develops from pitch through publication." Meedan’s Check - "Verify digital media consistently and openly for your team and your readers." SAM’s social media CMS - "We make it easy to find and store valuable content sourced from social media. Our platform accelerates content curation, critical UGC workflows and powers rich storytelling all while saving you money." All of these effort will "help" to defuse the potency of "fake news" to sway the publics opinions, as well as down-rank stories on social media sites like Facebook, ensuring the "people" are "protected". With Germany's Angela Markel on the outs with her own people, and "hate speech" on the rise against her, Facebook was asked last month to set up an initiative in Germany to prevent "hate speech" from influencing the parliamentary elections in September. Upvoting , Sharing or Reblogging below. @KrNel, your post has been chosen by @STEEMNEWS.ONLINE as one of today's promoted posts for its excellent content. We've upvoted, resteemed and published it through Facebook & Twitter. I really hope Le Pen wins, this will mean the end of the EU and the end of the power structure of these people. Yeesh...combine this with the Global Engagement Center that got snuck in to the NDAA 2017 allowing the State Dept. to "develop and disseminate fact-based narratives", and the picture is becoming pretty clear. Time to clear off of facebook, stop googling news, and find true independent media sources to support directly, while they still have a public platform (Newsbud, James Corbett, anyone?). Thanks for the update. Nice, thanks for the added info! We indeed need to get into other resources and not feed them anymore. These pathetic attempts to enslave truth won't help them. Web has already evolved. They have to come up with some really smart and evil scheme, or the blockchain will wipe them out. Indeed, they are scrambling to suppress information they don't want us to get ;) Thanks for the feedback. Maybe they're completely aware of how societies cycle between individualism, nationalism, and globalism. If they are already aware of it, they might have already built powerful mechanisms to simulate these cycles. It could all be part of their plan. This is what makes it a conspiracy, and not just a political agenda. They don't just play the "evil globalists". They also play as the "heroes". The common person is deluded, and that includes you and me. The concept of money is an artificial abstraction. It's useful, but it's not real. But I've read your posts. (and enjoyed them). Still, it seems like you respect the concept of currency quite a bit, to the point that you post about it quite often. To me, there are four main categories of control. If you're a big fan of any sort of economic doctrine, I'd say that you're deluded too. The only doctrine that I subscribe to is freedom and liberty. Your four main control apparatus revolve around one thing.... "Money" When the world finally figures out the "artificial abstraction" the illusion implodes. "When the world finally figures out the "artificial abstraction" the illusion implodes." Everyday most people wake up with one thing on their minds. How do I make more cash. What they don't realize is they are slaves to the illusion. Instead of focusing on things that are real i.e. family, faith, health they focus on the illusion of money. Once people realize how money is really created the illusion will disappear. Thanks for covering this; I had meant to bring this up, but I am way behind, and I focus on the Information War here in America. We can't forget that this is a corruption network (or a web of such networks) that spans the globe. Indeed, the US elections was the first place, now it's spreading to other elections. Right now, I'm building an index of my work on critical thinking, fake news, and the Information War. Have you built an index on your bias posts? I think that you did, but I would love to be able to point readers to your work on that in relation to critical thinking. Hmmm, that's an idea. I'll have to amass that hehe. I on;y did my major work which is mostly original and not based on the 'events' happening. Thanks. The biggest step in critical thinking is understanding your own biases. OTOH, I recall that you did a LOT of bias posts! Yup I have 13. That list I already have in some files, but the fake news stuff I would have to go find. nested,, ah yes, that's perfect! Thanks! Do you mind if I include them in my index and of course crediting you? Sheesh, it just gets weirder and weirder. It's so hard to trust things. I don't trust either side of that story. Nationalistic stuff is just as bad as globalism. Both are authoritarian concepts, which impose themselves on the people. I just wanna curl up in a blanket, and forget about the big, bad world outside. It's all so foul and vapid. The more you know, the less you realize you know. I hear you...that blanket sounds pretty good right about now. The only sweeping social statement I can give any love to is the Indigenous Americans that are trying to shine a light on where/how/why our society has become so fragmented, and how we can take action to start healing that division. Seeing Elders on the front line at Standing Rock pray for militant soldiers and wish them love even as they're being maced and bombarded with concussion grenades makes me simultaneously swell with gratitude and shiver in revulsion. It's dark as hell out there right now. But there are great, powerful peaceful people still setting the example, so I take heart.